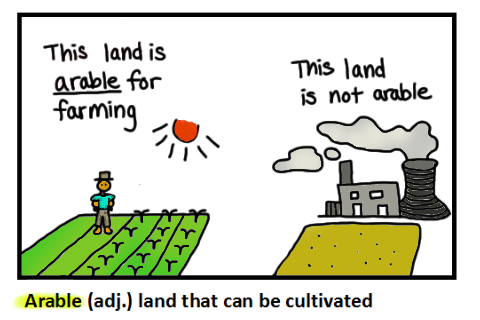 The word arable is an adjective that means a cultivatable land. In other words the land can be ploughed and used for crop production. Usage: This land is arable since many years.